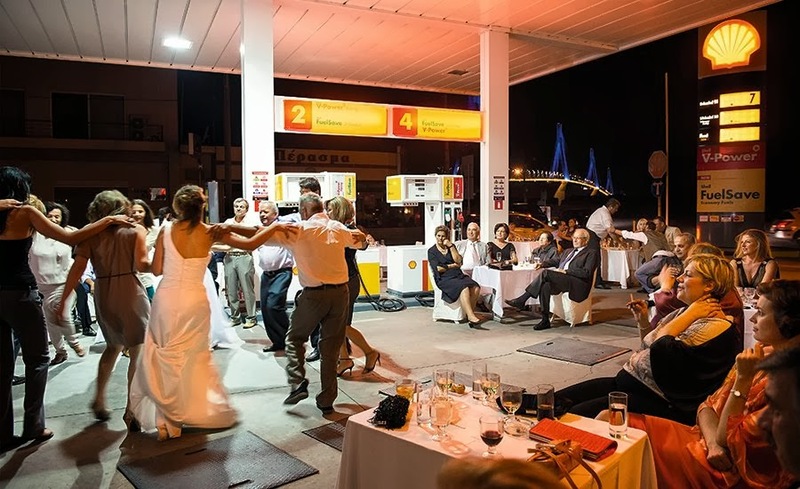 Meanwhile, in news recently, pictures of crisis wedding partying, performance art and dancing at the most unlikely venue, the petrol station forecourt. 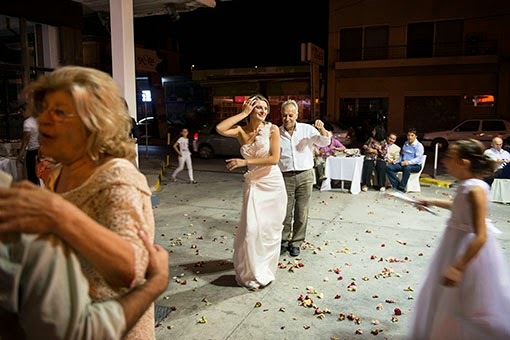 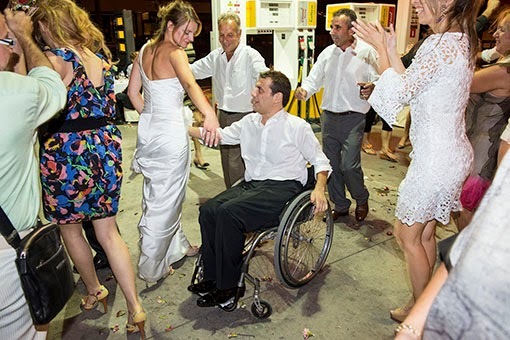 Capturing the moment in austerity-torn Greece, photographer Nick Hannes reveals: "the groom, Christos, had to hold the reception at his own petrol station to save money. 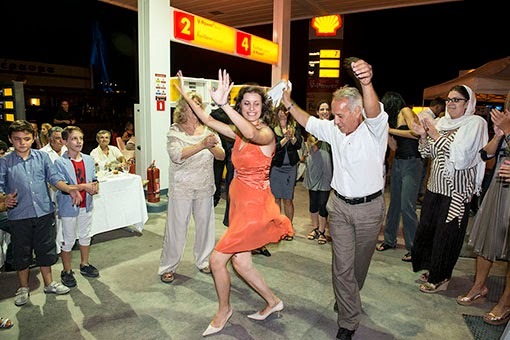 Meanwhile in Russia, breakdancing is impressive, but breakdancing on a car roof while an unsuspecting driver is paying for his petrol is even more so.